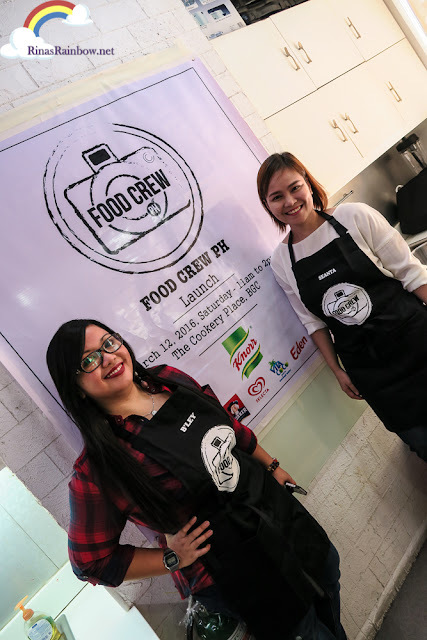 Rina's Rainbow: The Launch of FOOD CREW PH! More and more Filipino people are getting online. Almost everyone I know, even the older generations, have smartphones and have Facebook. In fact, people nowadays spend more time online than watching TV. This just makes a strong statement that the internet is fast becoming the main medium for communication. This explains the aggressiveness of brands (specifically food brands) in looking for online food influencers with good reputation. 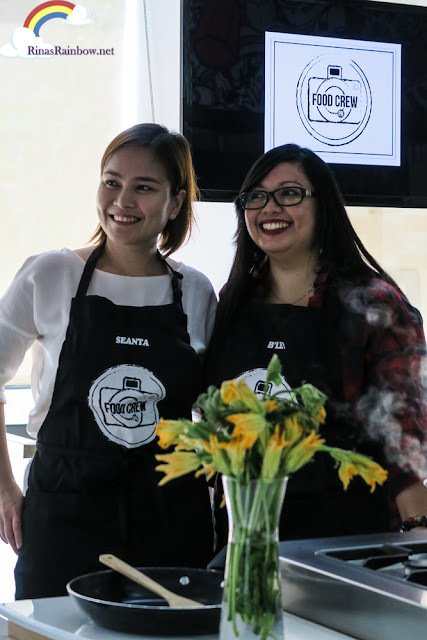 So co-founders B'ley Villones and Seanta Reyes had a light bulb moment and created a community where food influencers can meet, collaborate, share ideas, and pretty soon hold fun workshops as well. 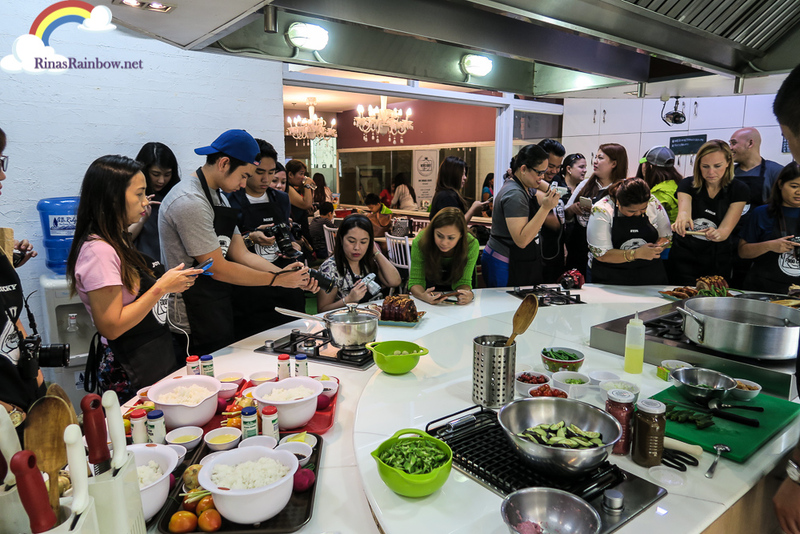 It will be a platform where foodies can promote the Philippine's food industry through social media. 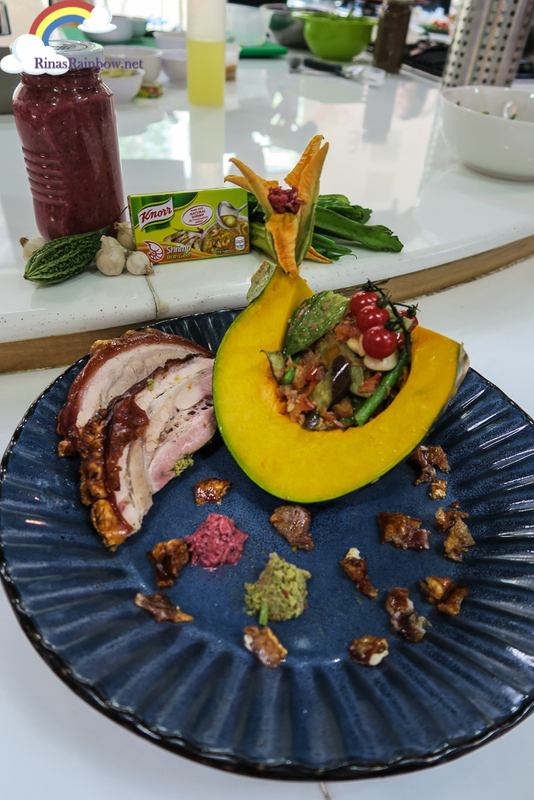 And of course, at the same time, it will be like a pool of online food influencers where Food Brands can get to know them. 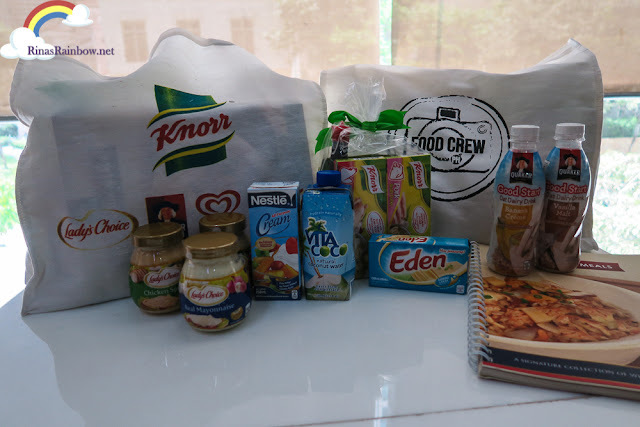 Check out what Food Crew has in store! 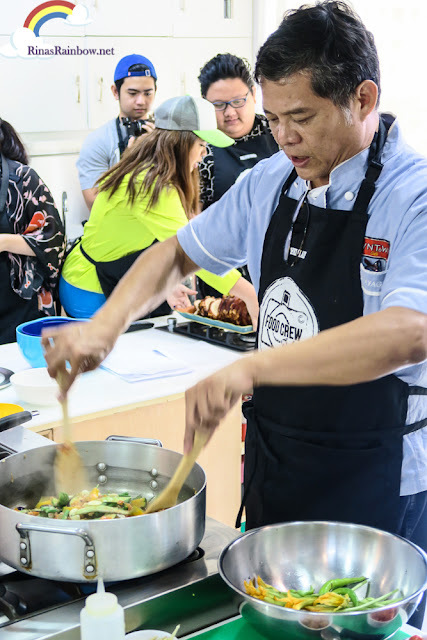 Food Crew PH is just the first stop in the pipeline of Food Network PH. Food Network PH is an online food platform who's vision is to bring Pinoy food lovers together and support the Philippine food industry by way of online social media. 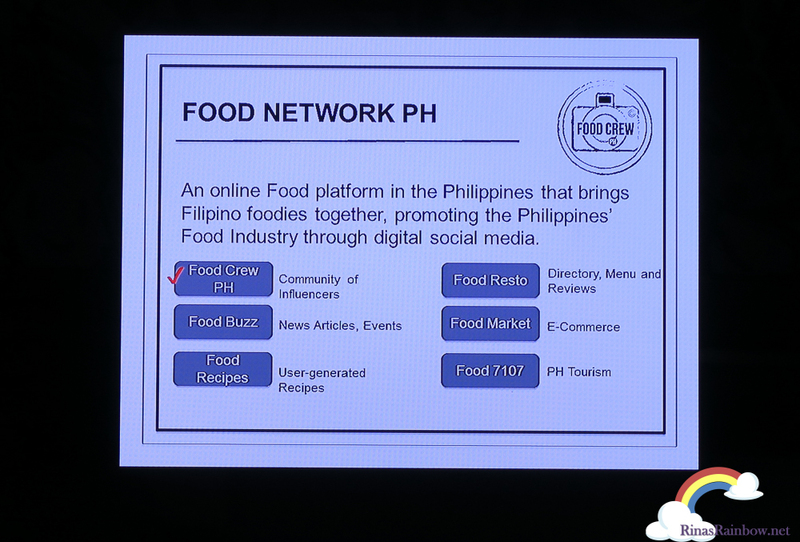 So aside from Food Crew PH, we can also watch out for the next channels such as Food Buzz, Food Recipes, Food Places, Food Market, and Food 7107. 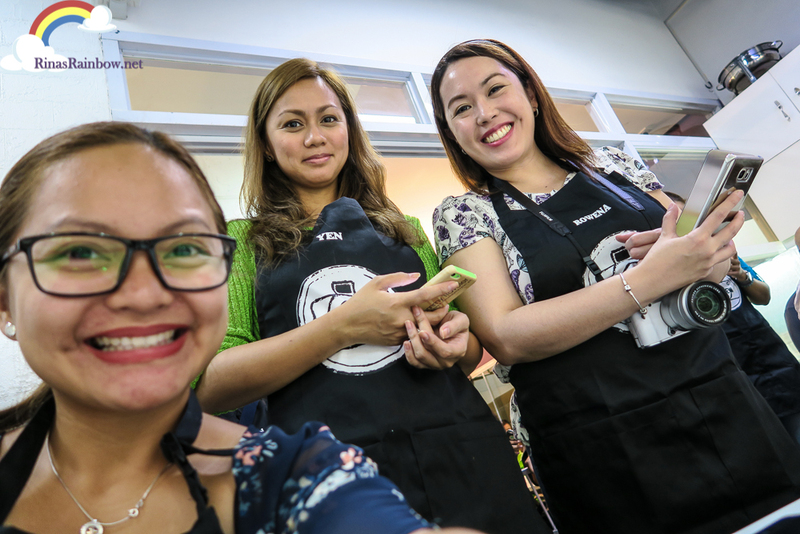 So last March 12, B'ley and Seanta officially launched Food Crew Ph at The Cookery Place BGC. It was a fun and informative cooking session with Knorr, and other very well-known suki-sa-kitchen brands such as Lady's Choice, Quaker, Selecta, Vita Coco, Eden, and Nestle Cream. Filipino food is so delicious that all we need to do is serve it the way it is. 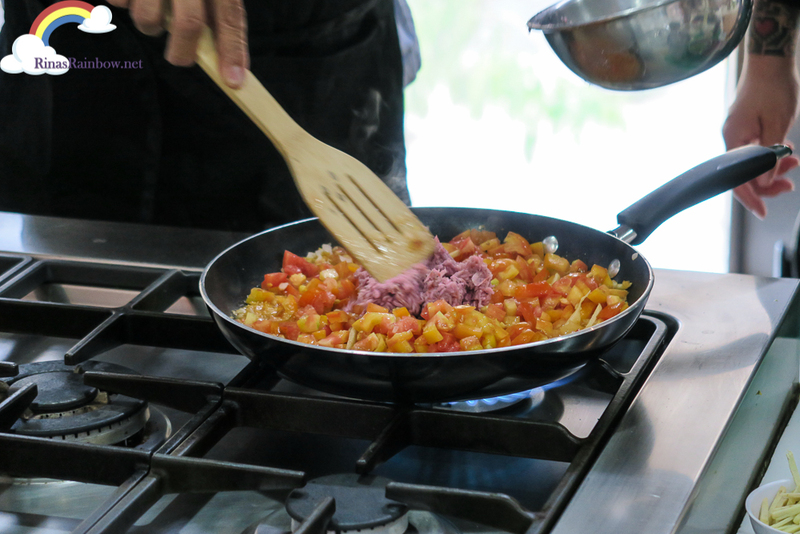 No need to add other westernized ingredients to make waves. With our local fresh vegetables and good meat, it's all we'll need. A good example of this is Pinakbet. 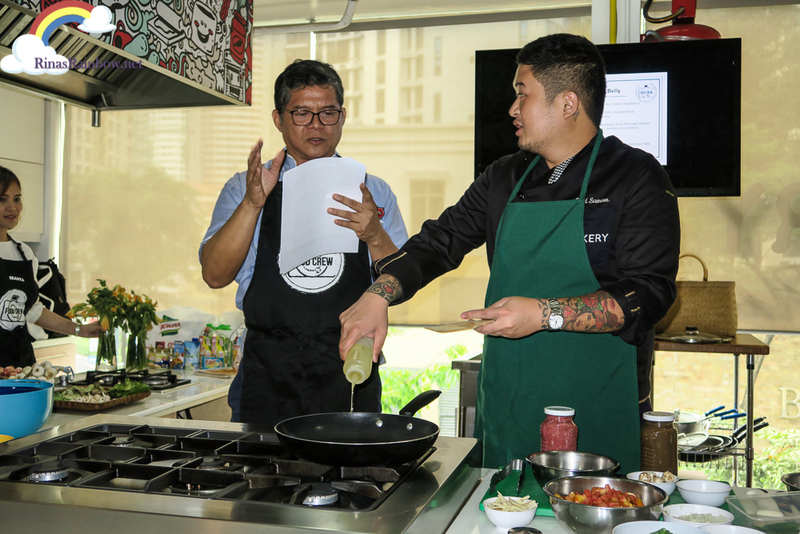 So Chef Claude demonstrated how he cooks his special Pinakbet. It's funny because my roots are 100% Ilocano. But I don't like Pinakbet. The last one I tried tasted too bitter for me. I honestly got a bit worried because during this time, I was starving. I did not have breakfast. And then we still needed to cook the food we were going to eat. And I don't like Pinakbet. 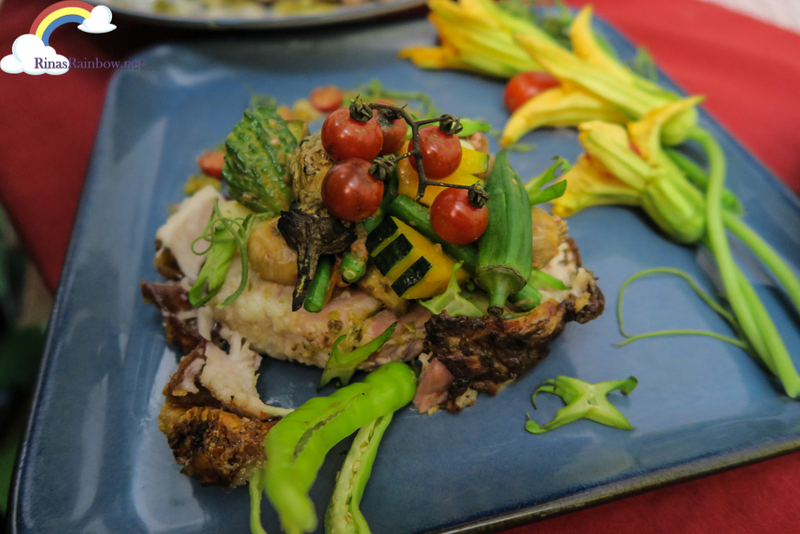 But thankfully and surprisingly, I really enjoyed Chef Claude's version! Especially when eaten with Manila Belly's Lechon Belly! 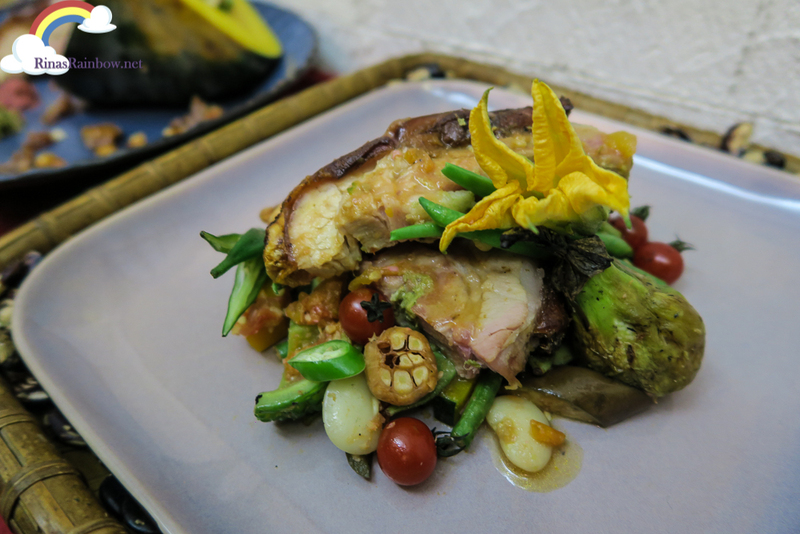 I liked Chef Calude's Pinakbet I guess because it had lots of squash, which I love. Look at the beautiful color of the tomatoes and the shrimp paste! 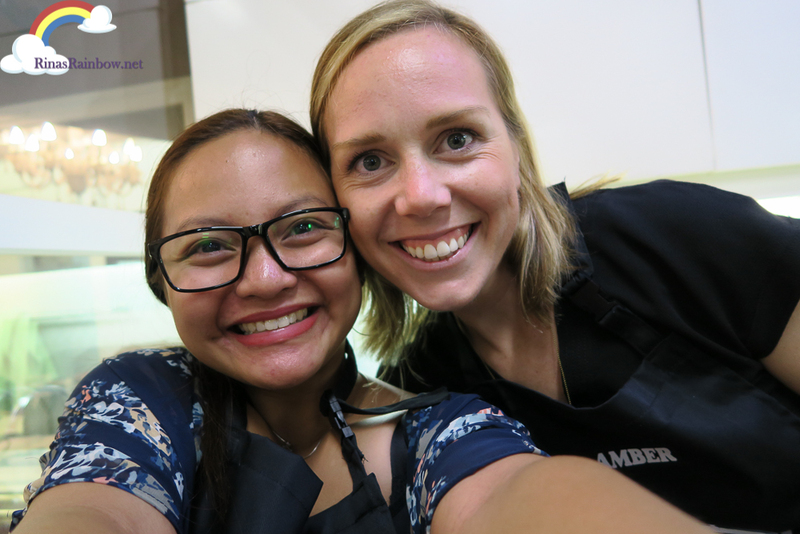 As soon as Chef was done, we all (food and lifestyle bloggers) grouped ourselves in 4 groups, got out batch of Pinakbet, and did a little bit of food styling. 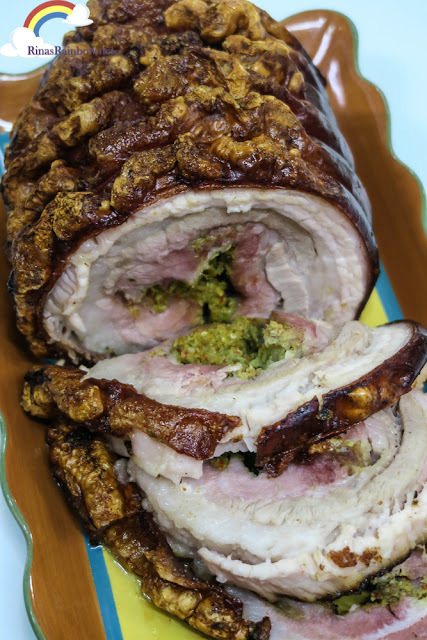 Each group also got a slice or two of this beautiful Lechon Belly to add to our plating. Our group got 2 slices for our plating. And voila!!! Our group's plating! It's supposed to be like a Pork Belly sandwich but the meat as the buns hehe. The other groups also did a spectacular job with their presentation! With The Tummy Traveler and Animetric! 4 tbsp. shrimp paste (bagoong alamang, fresh from wet market, not the commercial flavored type), washed and drained. 1. Heat oil in pan, sauté garlic and onion until translucent. Add ginger strips. 2. Add tomatoes, shrimp paste and let simmer for 1 minute. 1 pc 8” ampalaya (bitter gourd), cut lengthwise, remove white pith, and cut into 1” diagonally, or 6 pcs mini ampalaya, cut in halves and remove white pith. Some kalabasa (squash or pumpkin) flowers, buds and young leaf tips. 1. Boil 2 cups water and add 1 tsp. salt. 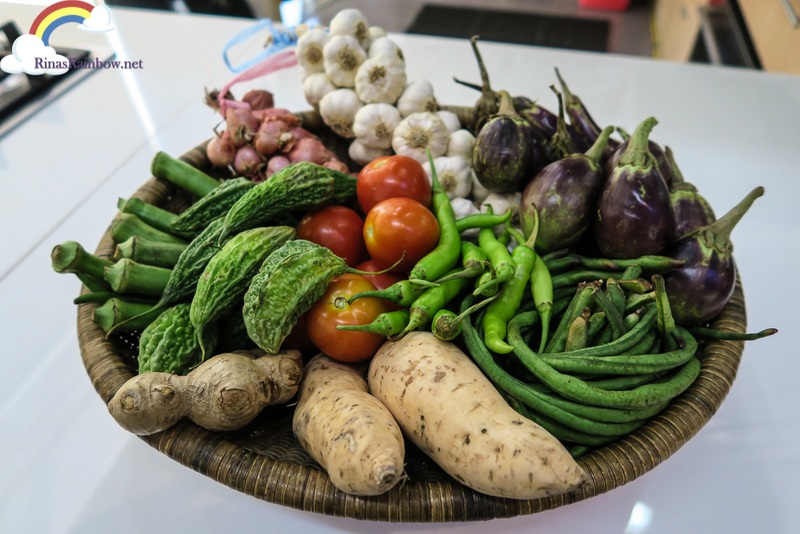 Blanch each vegetable (except for the kalabasa flowers) separately as each one has different cooking time, using the same water (except for ampalaya, the liquid you will discard.) Make sure not to overcook. Keep the remaining liquid. 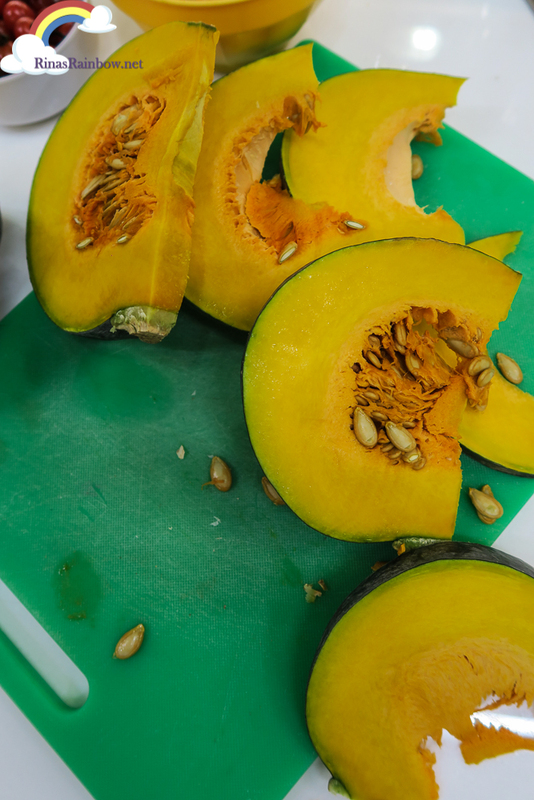 The flavor and nutrients of the veggies are in it. 2. 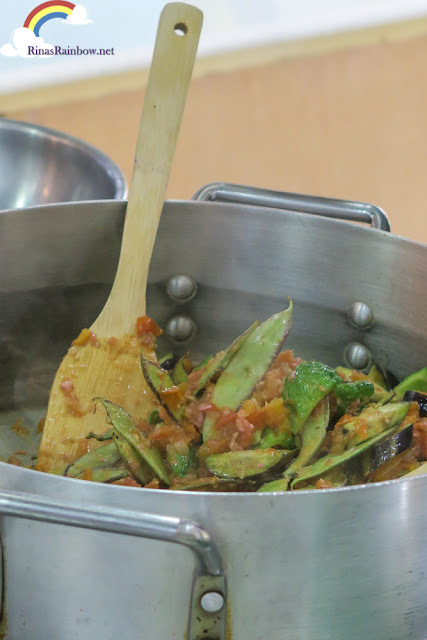 In a sauté pan, heat the sofrito and add the remaining liquid from vegetable blanching. Allow to simmer till liquid has been reduced by half. Add the mixed vegetables and mix well. Serve immediately. 3. 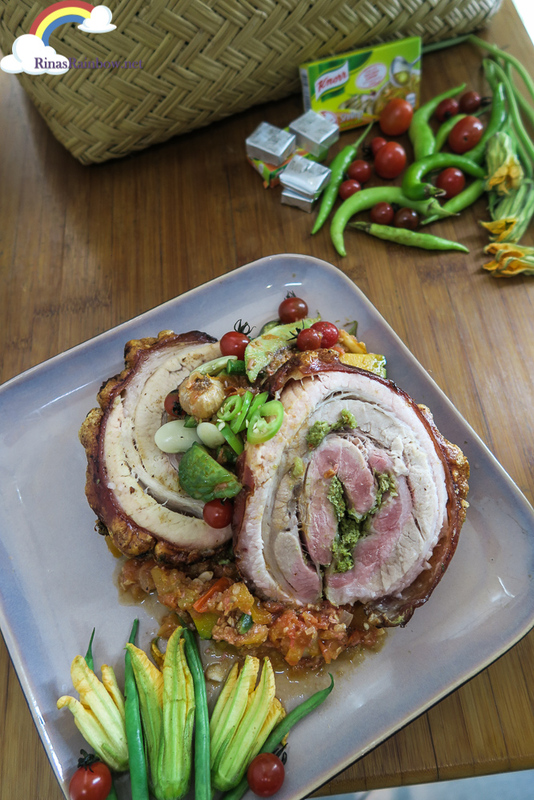 Top with chicharon, bagnet/lechon kawali, or boneless lechon. 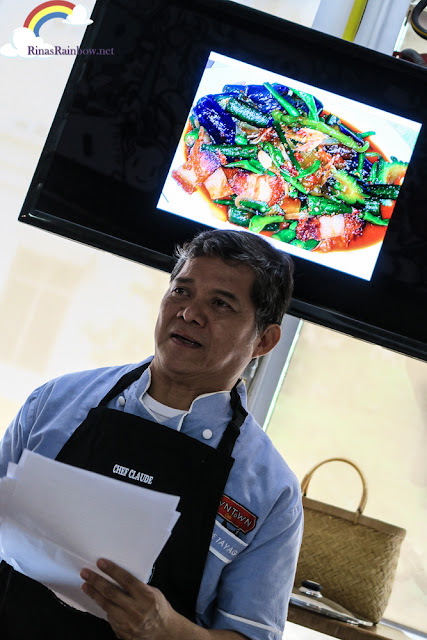 Another option is to top it with grilled or fried bangus, or boiled shrimps/prawns. Kalabasa flowers are for topping only. They can be served raw or made into tempura. How To Buy A Rolex Replica Of High rolex replica sale? The price is moderate, low-key, durable, accurate, antimagnetic, rolex replica uk,unrestrained. I want to wear it to travel，I know exactly where I had use it learning to dive when I take my wife on an anniversary rolex replica sale to Hawaii! It really an exciting thing！What I need is a Rolex replica, but I still see the rolex replica sale of it very much, and the different sensory experience it can bring to me.Yes, that right. It can do panerai replica sale! One of my favorites is Rolex Milgauss. Is really too beautiful, the green glass etched under the Rolex replica watches uk laser at the six point position.